The national carrier Czech Airlines plans to launch flights to four new destinations in the upcoming summer season. The Czech carrier will launch services to Keflavik in Iceland, Lisbon, Verona and Aarhus. The company made the announcement at a press conference this week. 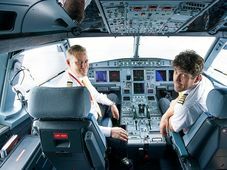 According to Jan Tóth, Czech Airlines Director for Commerce and Marketing, the number of new destinations can still rise further before the start of the new season. Photo: Filip Jandourek Flights to Verona will depart four times a week, and will be covered by the smaller turbo-prop ATR 72 aircraft. An Airbus A 319 will fly to Keflavik two times a week and to Lisbon four days a week. 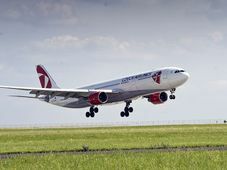 Altogether, the Czech carrier will fly to 50 destinations in 25 countries during the next season. 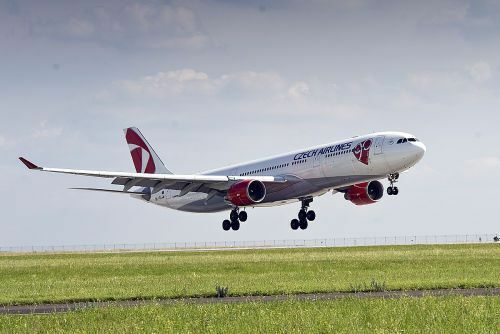 Czech Airlines also plans to increase the number of existing connections, including the one to Birmingham, which is set to depart every day of the week under the upcoming timetable. One extra flight will also be available on connections to Madrid, Nice and Odessa. Czech Airlines also plans to renew flights to Bilbao, Porto, Riyadh and Skopje. As of December 1, the company also introduces new product packages to better compete with low-budget carriers. The cheapest Lite package for passengers with carry-on baggage, which was introduced last year, will now be available on all flights. Standard services will be provided within the so-called Plus package, which enables free transport of one piece of luggage up to 23 kilos. Passengers will also be able to choose their seat and include the miles in their loyalty programme. Among other things, economy passengers travelling within the Flexi package will now be able to re-book their flights for free and carry another large-sized luggage of up to 15 kilogrammes. 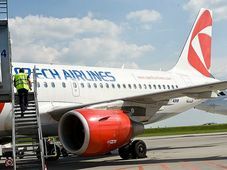 Czech Airlines is the world’s fifth oldest airline still in operation, following Australia’s Quantas, Dutch KLM, Russia’s Aeroflot and Columbia’s Avianca. In the first half of 2016, the company posted a profit of 72.4 million crowns. 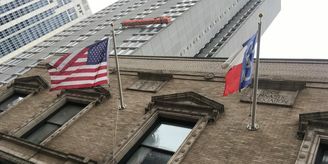 The biggest stake in the company, 44 percent, is currently owned by Korean Air. The second-biggest share-holder is Travel Service, with 34 percent. Over recent years the carrier has slimmed down its fleet to 19 aircraft, including one Airbus A330, nine A329 aircraft and eight smaller ATR planes.